If you’re looking to go on a river cruise in the Gauteng region, then the Liquid Lounge is the river cruiser for you. 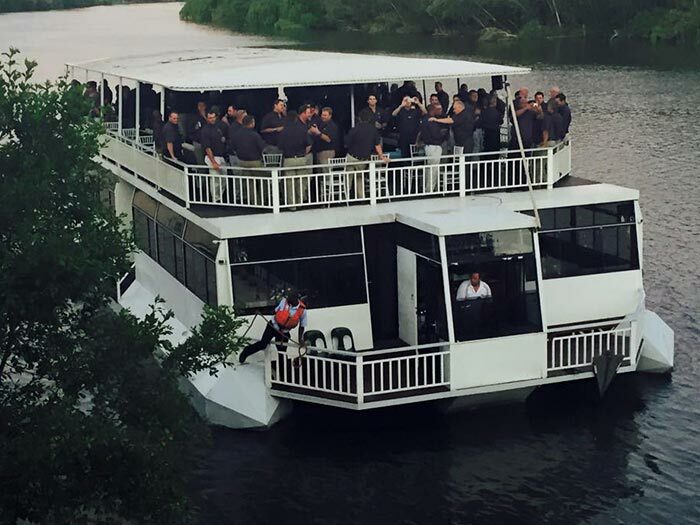 Liquid Lounge is a luxurious River Cruise Boat operating in the Vaal Triangle, that cruises down a calm and navigable stretch of the immaculate Vaal River. Enjoy a memorable river cruise with your friends and family aboard our luxurious River Cruise Boat. You will enjoy a beautiful scenic views, spectacular food and fresh drinks while in the company of your friends and family. Contact the Liquid Lounge today for more information about our cruises and available options. Read more below about what Liquid Lounge offers. Whatever your needs, Liquid Lounge is the river cruise boat for you. Sunday lunch cruises: If you are looking for a Vaal River Sunday lunch cruise to enjoy with your family and friends, then the Liquid Lounge is the River cruiser for you! Liquid Lounge hosts regular Sunday lunches aboard the luxurious river cruise boat, ideal if you are looking for a fun day out in the Vaal. Whether you are seeking a venue for a birthday party, or simply want to enjoy a special lunch with your loved-ones, Liquid Lounge will offer an unforgettable river cruise experience. Private parties: If you are looking to do something unique for your friends and family, a river cruise boat is a great option! Liquid Lounge offers 3 hour lunch and dinner cruises ideal to celebrate your next birthday party, anniversary, kitchen tea or other private party. Talk to the Liquid Lounge team about your venue needs. 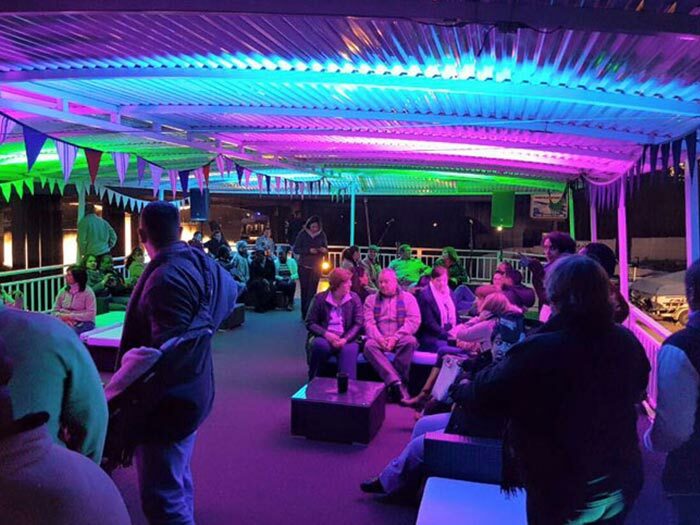 Weddings: If you are getting married in the Vaal Triangle and looking for a unique wedding venue, you should consider the Liquid Lounge. If you would like more information about the Liquid Lounge wedding options, contact the friendly team to make an appointment today. 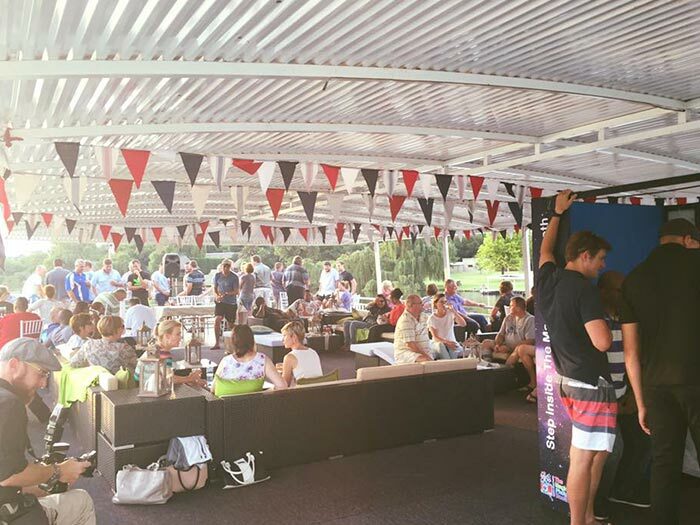 Corporate functions: If you are in need of a corporate events venue in the Vaal Triangle for a workshop, yearend function or social event, the Liquid Lounge might be just the corporate function venue for you. 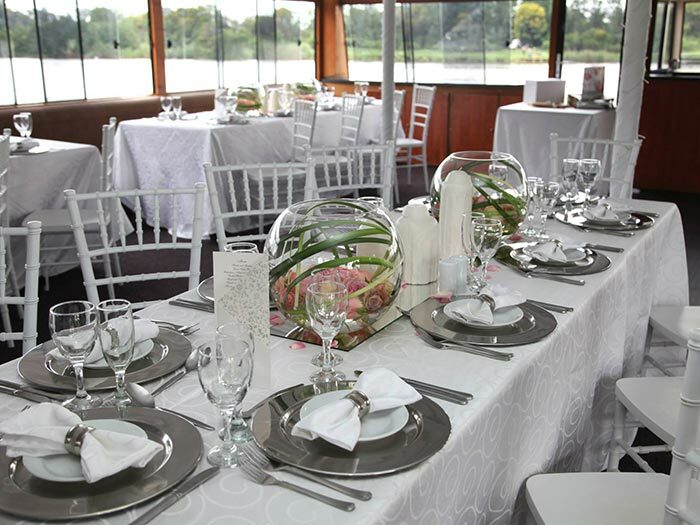 Treat your employees / conference delegates / clients to a lovely day / evening out on the Vaal River. Contact the Liquid Lounge for more information about the corporate and conferencing packages available. Talk to a team member at Liquid Lounge today for more information about any of the above offerings. Contact the Liquid Lounge.